My two-year break with the BTT Series was awesome, and just the refresher that I needed, but it’s time I return to my first baby. My love. My girl, Fallon, and her present & past and what it ultimately means for the future of her family and friends. YES. It’s going to go down, baby. All the battle scenes and prophecy reveals and character deaths—Er, I mean, uh…nobody dies…. Thing is, I’ve forgotten half of what I wrote. Mind you, I think the last one (Crusade Across Worlds, book 4) was published in 2016, which means I was probably writing it the year before, so some things are a little…muddy. I remember…the gist of what happens, but after flipping through the thing and being like, “who the hell are you again?” I realize I’m going to have to read my whole book over. This may pull me out of my you’re-not-going-anywhere-funk because it’ll be something new to focus on. I’m still only agreeing to the writing aspect of this self-publishing thing, but that’s the most important part to focus on. No product, no marketing, right? And besides, I was put here to tell stories, not to tell you about them. And if I was, well…we all can’t be superstars all the time, can we? P.S. I will still market the Better Than This Series. I owe it to myself and my characters, so I’ll figure it out. P.P.S. Crimes of Grindelwald. Does. Not. Disappoint! Yeah, I pretty much fangirled the entire time, clapping and hooting and hollering at the intro music. Hogwarts alum got to represent! Last Wednesday I caught the throat bug and since I keep forgetting to take medicine, I STILL HAVE IT. In my defense, I’ve been distracted. My sister had outpatient surgery, the check engine light in my car came on (AGAIN), and I was planning Batman’s surprise birthday dinner by calling every restaurant that I know he likes to ask if they took reservations—WHICH THEY DON’T. When did this become a thing? When I was a hostess, I always had to take reservations. It made sense. You had a larger party coming in and you wanted to let the restaurant know about it. Simple. Easy. Totally makes sense. Nowadays, you make “call aheads” which are apparently useless because unless your entire party is there, you won’t be seated. Seriously—what was the point of me calling? This is what I asked the hostess at the Cheesecake Factory when she informed me that even if the entire party DID arrive, we might still have to wait an hour. Seriously—WHAT WAS THE POINT OF ME CALLING? And since it was a surprise for Batman, I had to keep sneaking away which made him all suspicious, especially when he heard a guy on the other end of the phone (which was a buddy of his coming to the dinner) and my voice kept coming in and out so I would squeak and then cough and then squeak and then cough and then run into the house for water. My car is my car and until it’s a different car, that check engine light will always be in my life. My sister is doing fine – we’re just waiting for Wednesday to get the results. Cross your fingers (and eyes and toes…) that everything is benign because she needs a homerun in life right now. She is AMAZING and I was sort of hoping she’d win the lottery or marry Prince Harry and instead, she got outpatient surgery and a hospital bill. ☹ I know something awesome is coming her way but I wish it’d hurry up and get here. And no, Bradley Cooper, it’s not you anymore. You had your chance but my sis can do better. Sorry. Since I’m not sure how to arrange a cover reveal party or launch or whatever it is that most authors do, I’m just going to reveal it to you this Wednesday! Woop! If, between now and then, I can figure out how to do something bigger and better for a CR, I will. Otherwise, get excited to see the *amazing* cover for Better Than This on 4/11. I love it and I hope you will too! …and that seems to be everything going on in my life currently. Still unemployed and suppressing the fear of running out of money, but I’m focusing on writing. And feeling better. And hoping my sister feels better. Things always work out and I’m sure they will this round too. What about you? How’s your Sunday/life/health going? Seriously. I’ve been so caught up in loving/hating BTT and wondering at what point do I stop torturing myself with the same few paragraphs and finally shove it into someone else’s hands that I’ve completely put my main project, Arizal Wars, on the back-burner (for like, a long time now. Probably too long). 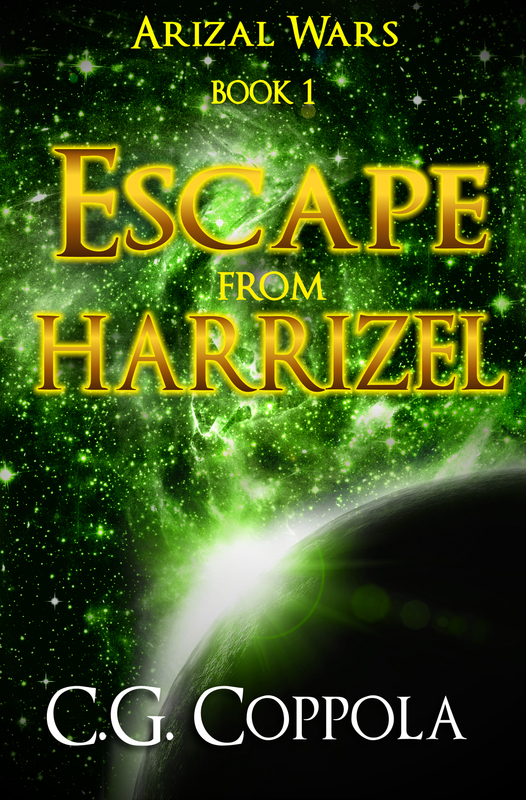 I started writing it in 2011 and needed a break around 2015, when I wrote Rozmarie & Josiah. I had one (semi) fan ask about the fourth book and I got right back to it. After that, it’s been all BTT, developing this series since I couldn’t stop writing it, but I need to get back to my first one—my baby—and finish the fifth and final book. If someone could just give me endless time or the winning lottery ticket, I promise only to use it on provisions so I can keep surviving long enough to do all the creative projects I want. Okay? Please? Genies and fairy godmothers are also welcome. Nothing shady, people. I’ve been kind of out of it lately. I don’t want to talk to anybody. Don’t want to do anything. I’ve got too much to say but no energy or desire to say any of it. Which leaves me in this weird sort of funk that has me questioning my day-to-day happiness as well as my mental stability, something every artist does but never talks about. Sshh. You didn’t read it here. I’m fine. Really. It’s just the dark thoughts that plague most people (and not usually me) have been repeat offenders lately and that’s something I’m not used to. So I don’t know what to do. When the demons do come knocking (the rare occasions it happens), I’m able to bat them away—quite successfully, I might add. I’m optimistic this is the life I’m supposed to be living. I’m blinded by the belief that I’m meant to tell stories. To write. And always have been. But I’ve been struggling to live in the positive. My brain feels like a weary battlefield, neither optimism nor depression surrendering, both battling to rule my outlook on everything I do. And that’s what April has been for me. A month of constant war. I have been writing. So there’s that. I have a book coming out next month, after all—the fourth in a series I love. But I don’t want to promote it. I don’t want to advertise or talk about its release. I simply want to sink back into my shell and send out a few texts to the handful of people I know are awaiting its release. It’s sad, really. That I’m back here again. I had so much gusto a few months ago and now I’m trying to decide each day if I want to be happy or sad. It’s weird and it’s scary and I hate that it’s part of the process. I hate that I have to go through it. I guess the good thing about April is the unexpected inspiration for my next book. I’m excited about it, which has renewed some of the optimism, but the giant 3-0 circling my head is a constant reminder of the failure I continually convince myself I am. I’m thirty and not there yet. What does that say about me? What does that say about my talent? What does that say about how the rest of my life is going to go? And suddenly the demons are back. I hate them, and I hate myself for giving into them. But I’m still writing. I’ve posted this, haven’t I? (Please God let me not chicken-out and post this). Things will be okay. I’m sure they will. 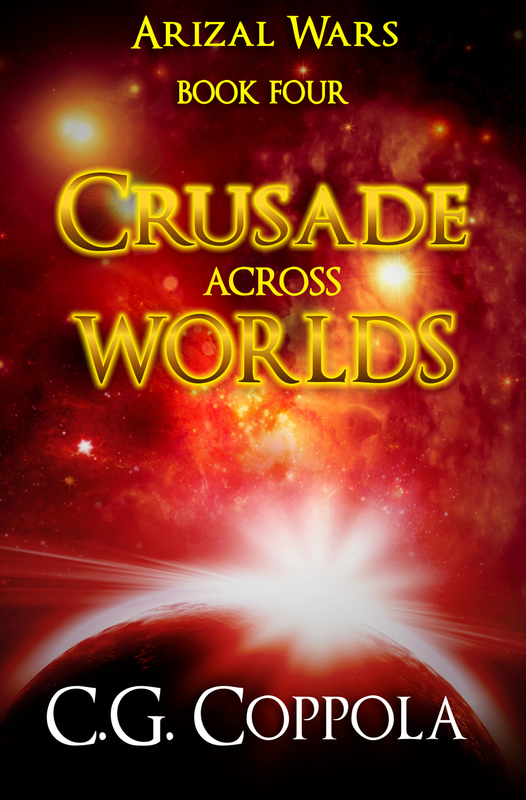 After all, Crusade Across Worlds is coming out next month and ITR is still in its best stage—the unwritten period when everything is just a montage of scenes, a movie trailer of highlights I want to write. Ah, the beginning to any creative piece. The inspiration. The possibilities. I do think, despite all the demons and mental exhaustion that goes along with being a writer, that this may be one of my very favorite things in life. So I’ll cling to that for now.